(Scientific Name: Lyophyllum shimeji) Small in size, this type of Asian mushroom is one of the numerous Shimeji varieties common to Japan. The term "Shimeji" is often used to describe one of over 20 species such as the Clamshell, the Beech, or the Pioppino mushroom. However, when referred to as the Hon shimeji (also Honshimeji or Hon-shimeji), the name is typically, but incorrectly, referencing the similar looking Brown Beech (Buna shimeji or Buna-shimeji) or the White Beech (Bunapi shimeji or Bunapi-shimeji) mushrooms, which are also known as the Brown and White Clamshell mushrooms. The Pioppino Mushroom (Agrocybe aegerita) most often refers to the Velvet Pioppino which also has an appearance that is very similar to the Brown or White Beech with a distinctively different shade of coloring. The Hon shimeji is really the only true shimeji species and is a delicacy in Japan. The Hon shimeji has been more difficult to obtain in the past but has started to be cultivated in the recent years, making this species more obtainable. 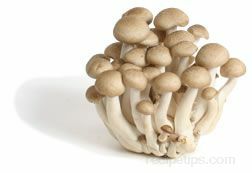 The Honshimeji mushroom grows in bunches of delicate, compact white stems 1 to 2 inches high, topped with small light brown or off white caps. 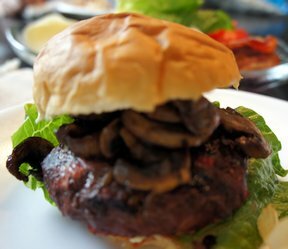 The flesh of this mushroom is crisp in texture, providing a crunchy and juicy meat that may taste somewhat nutty or herb flavored when cooked. It is not a good mushroom to serve raw, since the flavor and ability to digest it will not be favorable. 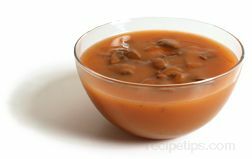 It is a good mushroom to serve in stir-fried foods, with wild game or seafood, in soups or stews, and in a variety of sauces. When cooked alone, Honshimeji mushrooms can be sautéed using a higher temperature or slow roasted on a low temperature with a small amount of butter or cooking oil. When storing, keep the mushrooms refrigerated and eat within 10 days of storage. When preparing, cut off the base of the cluster so each mushroom is individually cut at the stem. Wash or brush lightly if necessary to remove any dirt particles and then prepare by cooking.